When it comes to landscape design, adapting to one’s surroundings is sound advice, especially when talking about plants. 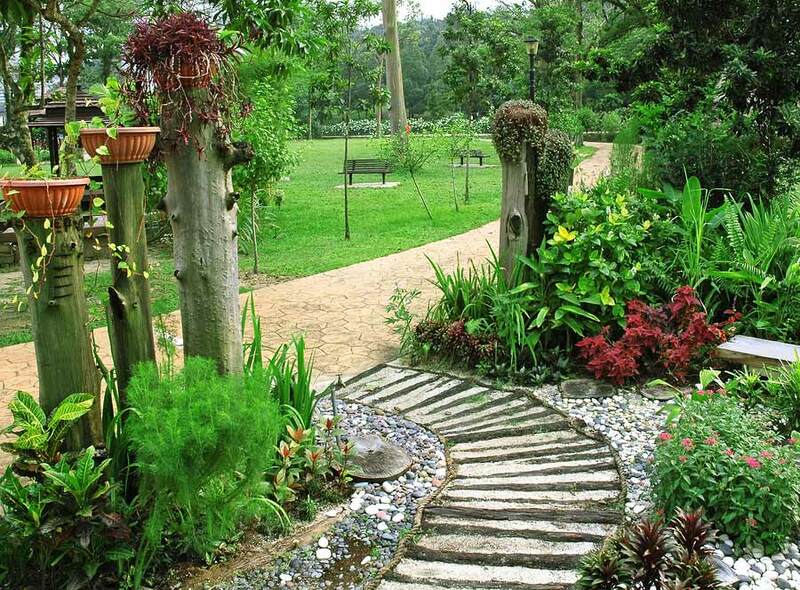 Regular care of plants in a tropical climate includes aeration, pruning, fertilizing and watering. Warmer climates, in particular, place their unique demands on gardens and the homeowners. The sunnier, high-humidity environment results in faster plant growth than the relatively cooler parts of the world. Extreme humidity, intense heat, and monsoon rains – these are all issues that plague a tropical climate. There are many aspects to landscape design which you must consider if you want your lawn to be healthy and beautiful to look at for years to come. There is no need to worry if all the space you have available is a rooftop or a balcony. Fortunately, plants, shrubs, and trees can take root and flourish just about anywhere, even in clay pots. The only difference between trendier, modern home designs in Lahore and your residence is probably a lush, beautifully landscaped tropical garden. Eliminate that difference once and for all by starting your very own garden renovation project. In a tropical climate, plants require special care and maintenance work to keep them flourishing. Overwatering causes the most harm to the roots and eventually leads to the premature demise of houseplants. A typical array of warm weather plants includes bamboos, orchids, fuchsias as well as common house-plants like palms, and ferns. Tropical blooms tend to attract various types of butterflies, hummingbirds, and other smaller wildlife to a garden. Fruit trees that thrive in a tropical environment include guavas, mangoes, kiwis, avocados, loquats, and dragon fruits. Some tropical fruit trees, such as papaya, can start yielding fruit in as little as one year. Vegetable plants that do well in humid environments include the heat-resistant variety of tomatoes, Chinese cabbages like bok choi, mustard greens, rocket, eggplants, chillies, and capsicum. Not only do these plants raise the aesthetic value of your garden, but they can also kick-start a healthier, more organic diet for the entire family! Even a couple of planters are enough to launch a brand-new tropical garden on a balcony or rooftop. Rooftop gardens, also known as green roofs, face the risk of heightened periods of humidity, rapid changes in extreme temperature and pest infestation. Most rooftop gardens are usually devoid of shadows, so they require plants that do well in hot and bright growing conditions. The higher up the garden, the greater the chance of strong wind conditions that can drastically reduce moisture and result in windburn in the more delicate plant species. 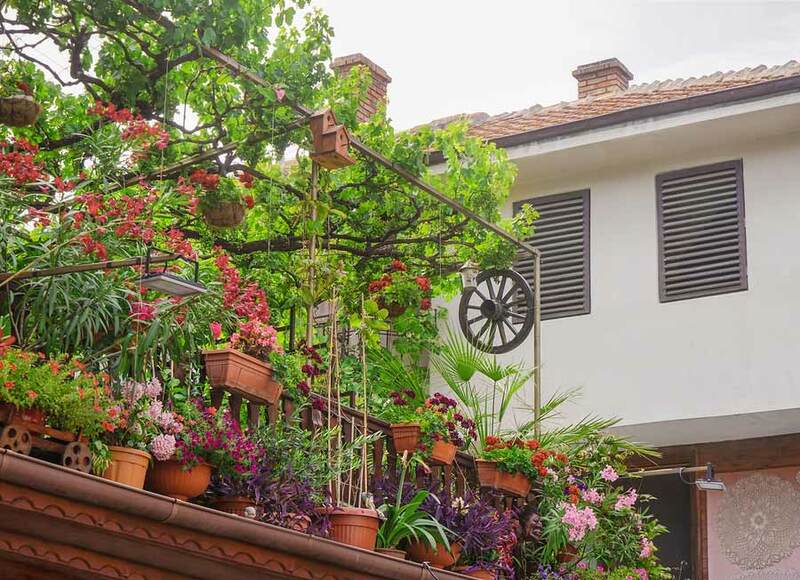 Use leafy ornamental vines like bougainvillea or flowering vines like coral honeysuckle for privacy from pedestrians on the streets below. Whether or not you have a dedicated patio space, you will probably be placing an order for outdoor furniture. Keeping in mind frequent rain showers, it is best to invest in rust-proof lawn chairs made of wood or recycled plastic. If you are running low on space, opt for the foldable variety of deck chairs and a collapsible picnic table. Where there is rain, there is also sunshine – remember to buy an umbrella for the Sunday afternoon brunch ritual. You can also get retractable overhead shades installed to provide extra protection from the elements. Once you have the basic plants and furniture sorted, the next step would be to ‘dress’ up the garden area. 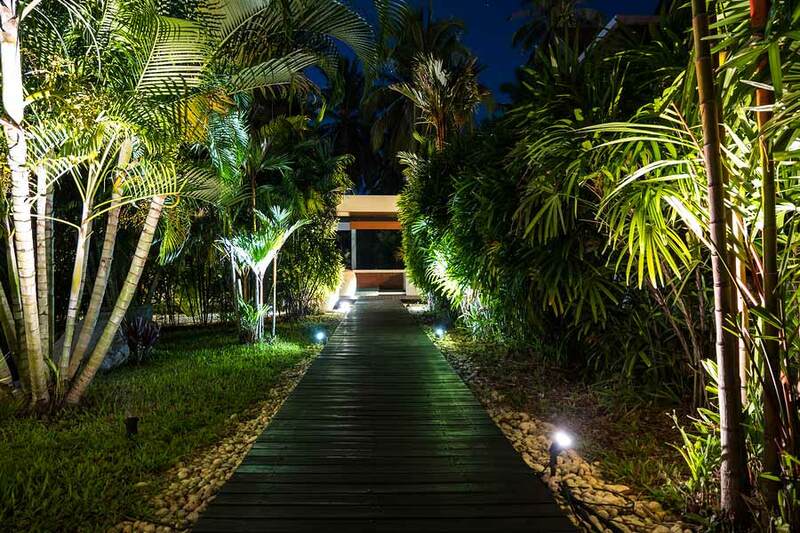 You can incorporate cobblestone pathways, faux bridges, bubbling fountains and even decorative lighting into your tropical garden. Some homeowners choose to layer relaxing sounds by hanging up windchimes from tree branches and in doorways. Find a design team experienced in construction in Lahore and they can put the finishing touch on your miniature tropical paradise. One critical decision you will have to make early on in the garden renovation process is who will carry out the regular maintenance work. Will hiring one person be sufficient for your garden or will you require the services of a dedicated landscape design team? It really depends on how much space your garden takes up. If you plan to exercise your ‘green thumb’, remember to wear a pair of thick gloves and to use only proper gardening tools. No matter the size of the tropical garden, this is bound to be a project that will be a source of pride for years to come.